Working hard all days and been trying to save some money, and all of a sudden it becomes so hard to choose a destination? What are the limiting matters to you? Costs? Safety? Landmarks? Entertainments? Below we will tell you why considering visiting Iran in these cases. You don’t even know why, maybe holidays for you are synonymous with beach so you head to Thailand, maybe you think spices are only available in India, or maybe you think ancient history can only be experienced in Rome. Be it for the sanctions or for the dropping of their currency, travelling to Iran right now will turn very cheap. With the cost of public transport ranging from the 8 euro (roughly 10$) of the night train from Tehran to Tabriz to less than 3 euro (4$) of the bus from Ardebil to Lahijan, and the accommodation, usually 4-star hotels, around the price of 30 euro (40$) per night per double room, you can spoil yourself with a royal treat without spending too much, saving enough for your inevitable shopping spree. You can book the bests of , plan to surf the country with best airlines they have, such as Qeshm, Mahan or Aseman. Even you can easily think about that wondering train trips with the best train journey of to the north and have your bags full of souvenirs with lowest prices ever. 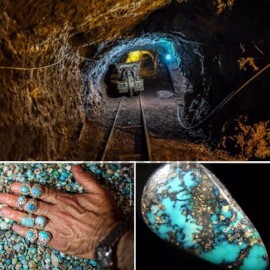 If you decided to book that train to the forests and you went to Gorgan, make sure as one of your , you are buying bracelets, rings or earrings of their beautiful handmade Virchow jewelries. When you visit Iran, you don’t have to worry for not buying gifts the happiest reason to book your will be this. 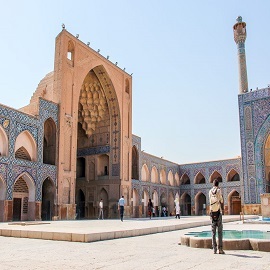 If the first reason made you not to hesitate to buy your you might think about Persian cities, Bam is probably what you are imagining. Unfortunately, most of it got destroyed in a devastating earthquake and people generally do not visit it anymore. However, people are rebuilding it and, if you’re lucky, your guide may take you to places you normally wouldn’t visit. It helps to know sign language as they don’t speak English. Some Iranian people think the region is unsafe but, then again, we noticed that inhabitants from a particular province would ALWAYS tell you that neighboring provinces were dangerous. We never felt unsafe. 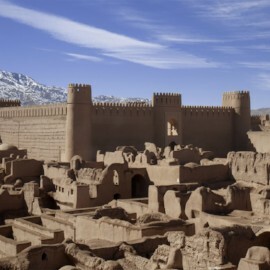 If you visit Iran you have to see the citadel of Bam! You’ll feel like Aladdin…You’re welcome. People have certain expectations before they visit Iran, some of them might be negative and most of these some, are for sure untrue. If you take a look to the other articles about travelling to Iran, you will change your mind for sure but to please the people at home, make sure to bring back some adventures. Here are the adventures waiting for you in Iran, as the second reason for you to visit Iran. 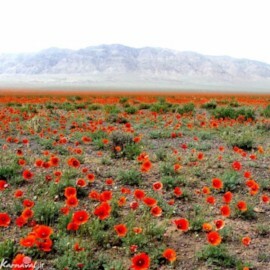 Small desert villages where the nights are of pure dark and the sky full of bright stars, this is what makes vast barren lands of Iran magnificent. This astronomy experience is a blend of the bests which lead you away from classical sightseeing, to discover the hidden life of rural of Iran. Experience the unique night sky of Iran's desert, with no light pollution, to become a real amateur astronomer, while visiting off the beaten tracks natural sights that you can hardly find on any travel books. Sand dunes, stone formations, waterfalls and rivers in desert, cave village, hottest spot on earth: these are some of the highlights to spice up your trip to Iran with a six-day tour full of unforgettable experiences, as you will live Iran from the inside and collect the most intimate knowledge about this impressive country. Green Hike of Gilan: An extraordinary hike into the "jungle" of northern Iran. Birdwatching in Varzaneh, Cross Isfahan to Yazd: In search of the only endemic bird of Iran, Iranian Ground Jay. Raghaz Canyon, Adventure of Rappel and Water: Are you ready for an epic adventure, eager to push the edge of your limits and expand your possibilities in a fun and memorable experience? Then, the ultimate adrenaline adventure of canyoning in Raghaz Canyon is going to fulfill, and even exceed, all your expectations! 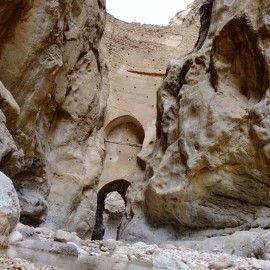 The most popular canyon in Iran, Raghaz has it all at the same time. Jumps, slides, abseils and whatever you can wish for.